Picnic in style with our well made, personalised picnic blanket. 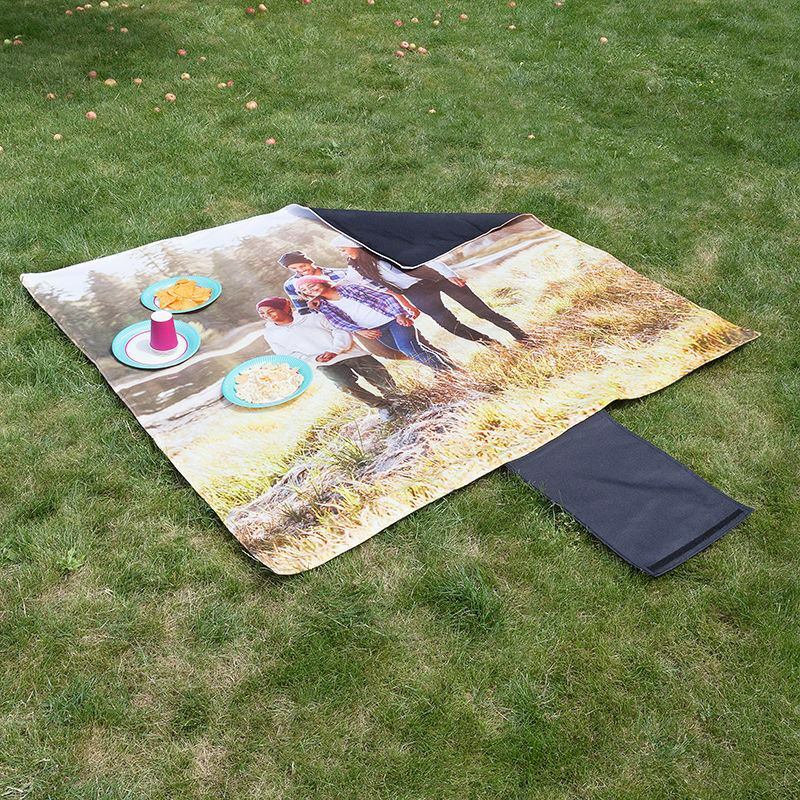 Have a fun day in the park with a large 150 cm x 150cm printed blanket ideal for mums, kids and treats! Designed and made by Bags of Love, with over 13 years experience, in our London facility, our custom picnic blankets ensure your party is even more fun. Comes with a 10-year guarantee. Make any part of the country your own with your bright colourful design that you create! Once folded up the picnic blanket is light and easy to carry. This makes it great not only for a trip to your local park but also for taking on festivals, walks, to the seaside, camping, or for car. Our personalised picnic blankets are printed and sewn to order in our London studios. Your photo or design is printed on the full width of the material, a comfortable top fleece face, 285gsm and a black waterproof bottom. Each picnic blanket is stitched together that won't easily come apart, making your product one of a kind limited edition! Our printing technique ensures a long-lasting vibrant print that will not scratch or deteriorate over time. The blanket comes with a 10-year guarantee on print & material. It will survive no matter how bad the weather gets! For the traditional British picnic! Using our easy-to-use design tool (upload, position image), you can either add one large photo or quickly create a collage from multiple photos and text. Vibrant colours make the setting fun and grab peoples attention, so they know your festival picnic party is the place to be. You can preview your design on our website before buying to be sure you know what you are getting. Customise our Blue Flame Heart Blanket design with your favourite photos and memories.